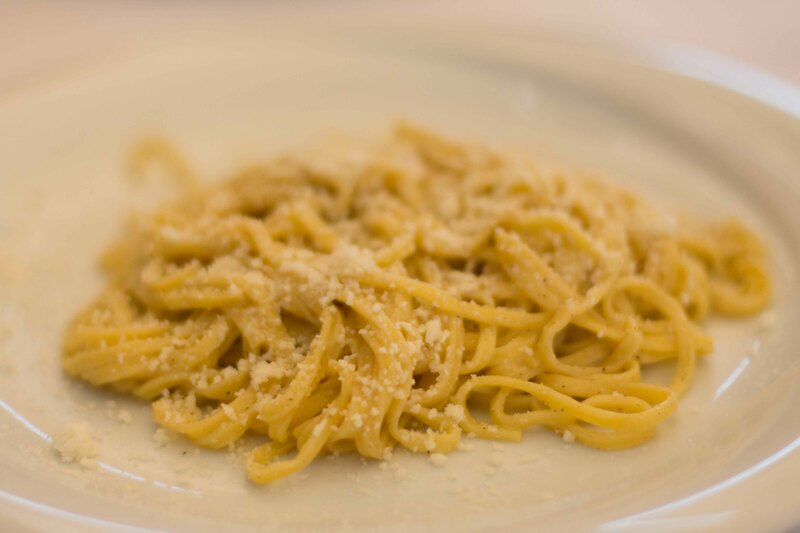 My goal in coming to Rome was to find great versions of classic Roman dishes. I wasn’t looking for a great variety and I didn’t fill my eating schedule in advance like I usually do. This wasn’t a trip about cutting-edge or avant-garde cuisine, I just wanted good Roman/Italian food. When I first started traveling (outside of the West Coast and Japan) 15 years ago, I went on a whirlwind month-long tour of Europe. I was young and excited to see the world and eat its food. The week I spent in Italy, I was in Rome, Florence and Venice. For food choices, I trusted the Lonely Planet guidebook and suggestions from my hotel or other travellers. I was in Italy over a week and although I remember enjoying the food, there weren’t many epic memories from that time. That was a time before the internet, where Italy felt more foreign and unapproachable. Thank goodness the world-wide web changed all of that. Now, as a food traveler, when I prepare for a trip like this, I can spend hours, days or, weeks and months researching where to find good food. I gain inspiration from travel/food magazine websites and go from there. I love finding food writers/bloggers who seem to have a good pulse on the scene and follow their lead. But one recommendation isn’t enough. If a source leads me somewhere, I background check the source, and then search to see if there’s collaborating recommendations from other reliable sources. With all of the places I find, I put together a map where I pinpoint more than double the number of destinations I know I’ll be able to visit. When I plan my daily adventures of sightseeing and wandering I look at the map to see what my options are and if by chance I ever wander into a neighbourhood hungry without a prior plan, I want to be prepared. Yes, I know there’s no spontaneity in this, but I know myself. I could walk around and around trying to choose a restaurant on a whim because I’m fearful that I’ll walk into a bad meal. Usually during this indecisiveness, my hunger turns into hanger and any restaurant I settle on is doomed to be a disappointment because in the end I feel like I’ve settled just to put food in my body. I hate the feeling that I’ve wasted a meal when I could potentially be eating something amazing. This may sound like a lot of work, but it’s how I create a travel food list that has amazing options. It’s how I’ve been led over the years to some of the best meals I’ve ever had. Just as I decided to come to Rome, Conde Nast and Travel and Leisure seemed to flood my feed on Rome’s best gelato, best coffee, 7 things I didn’t know, 3 hours in, 3 days in… It was a great starting point to developing my list. 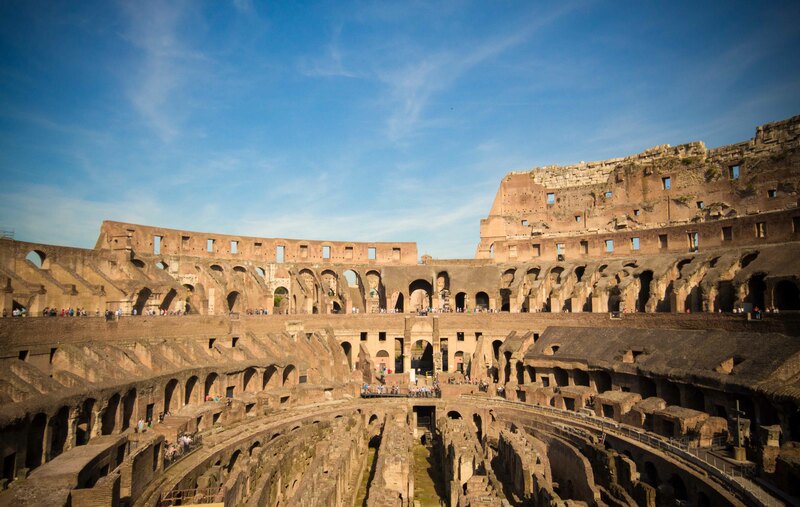 From there, I took recommendations from other sites and was lucky my in-laws had a whole file folder of information from their weeks spent in Rome over past few years. 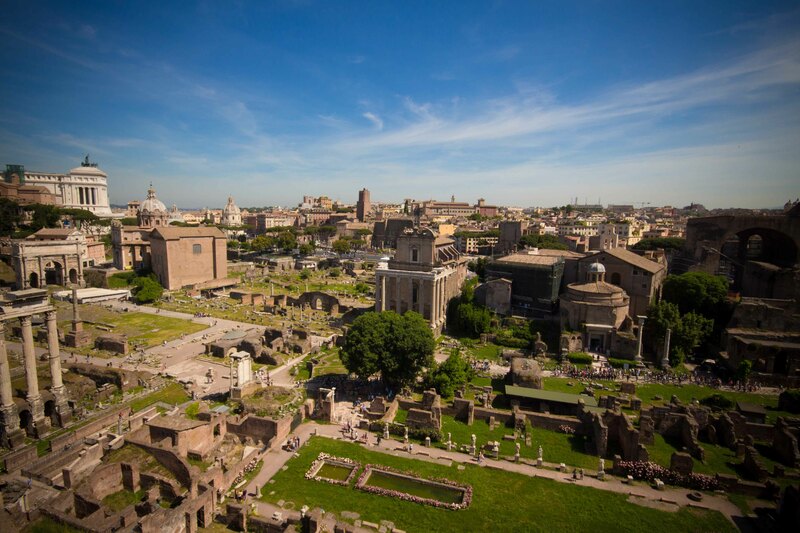 I took my list and checked places against the recommendations of 2 food writers, Katie Parla and Elizabeth Minchilli who have the most comprehensive information on food in Rome that I found. Why am I including all of this background information to my thought process? It’s because I wanted to share that even with all of this research, sometimes you are led to a bad meal. 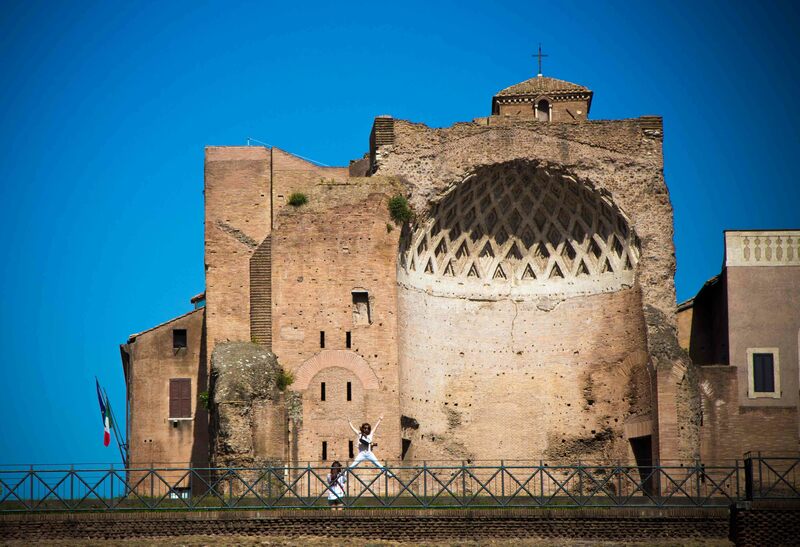 I had the most wonderful morning in Rome visiting the Coliseum and Forum. Even though it was something I did on my last visit, it was worth a repeat. I knew enough to get there when it opened to beat the crowds and the heat, so my time wandering through both was awe-inspiring and at sometimes even peaceful. I had a spring in my step on my way to lunch knowing I was going to try one of my “must eat” items in Rome. Nonna Betta in the middle of the Jewish Ghetto gets mostly good reviews of somewhere specializing in Jewish Roman cuisine. 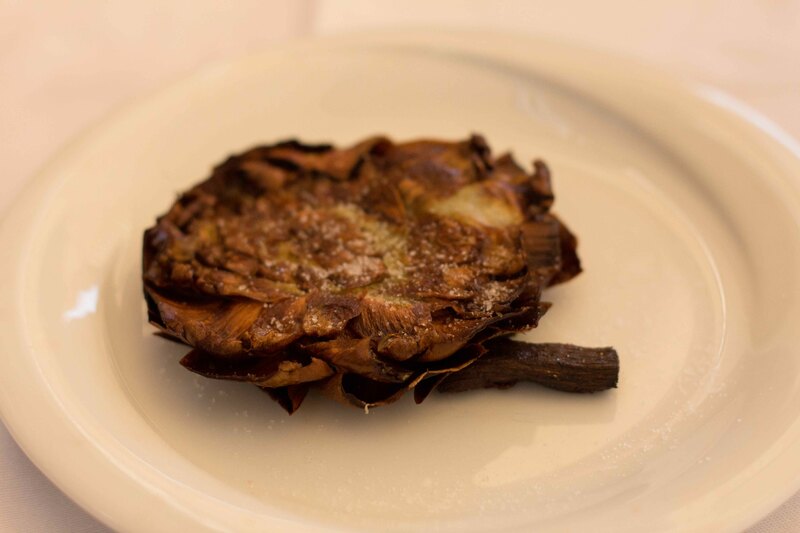 The reason why it was on my radar was because it served carciofi alla giudia (Jewish artichoke) which was high on my list of must try’s in Rome. After a long morning of exploring the Coliseum and Forum, it was also the first of the few I had on map on places that served carciofi alla giudia that I stumbled upon. Warning bells started ringing in my mind as I was ushered into the restaurant by the server waiting with menus out on the street for customers, trying to lure them in. The sirens started to go as I looked at the glossy menu offering their artichoke and cacio e pepe with a glass of wine for €15. So much about it reeked of being a tourist trap, and I had an inkling of wanting to move on, but we’d already been served water & bread which I knew we’d be charged for and at that I point, my tired body was holding out hope that all the positive reviews I’d read would be right. I tried to ignore the unpleasant service and instead focused on the action on the lovely street in front of me. Cariciofi alla giudia is flattened and deep-fried golden and lightly salted. The outer leaves are crispy while the inner heart is soft and sweet. While I felt like I wasn’t getting the best version of carciofi alla giudia that Rome had to offer, I wasn’t displeased with what I ate. I was just starting to think that I was being too skeptical about Nonna Betta when the pasta hit the table. While both plates were supposed to be the same dish, visually they looked different. One was swimming in a pool of grey-ish sauce, the other (mine pictured below) was under-sauced but at least more vibrantly coloured. The pasta of both though, had the misfortune of being past al dente and over-cooked to downright mushy. I wouldn’t expect a plate of pasta like this from a bad chain restaurant at home, so was utterly disappointed to be served this in Rome. I rarely write about negative food experiences, but shared this only as an example of how all the research and planning in the world can occasionally lead you to a bad meal. I’m always disappointed when a meal is “wasted”, but I am reminded that in the scheme of things, in terms of eating out, my batting average is pretty extraordinary. And given that I was in Rome for 6 more days, I knew there was so much great out there to look forward to. So I’m putting this one behind me and instead focused the day on the amazing sites I saw in the morning. After all, I know a great meal is always around the corner for me.